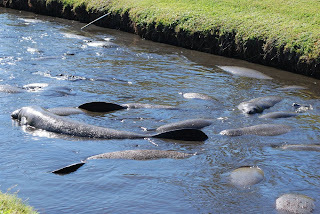 Space Coast Beach Buzz: Manatee mania! 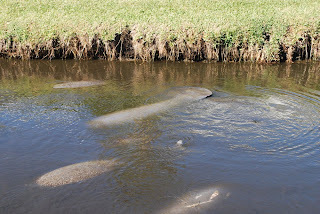 We've had some record cold mornings this past week (30s and low 40s), and the manatees are coming into the canals from the river because the canal water is warmer. Wayne got these pix at a canal near his home in Satellite Beach. I'm most appreciative of Wayne's photos - every very time I try to take a manatee photo, by the time I get my act together, the critter has ducked back under the water, and I have yet one more picture of water! This photo reminds me of a bunch of kids in a swimming pool having a party! 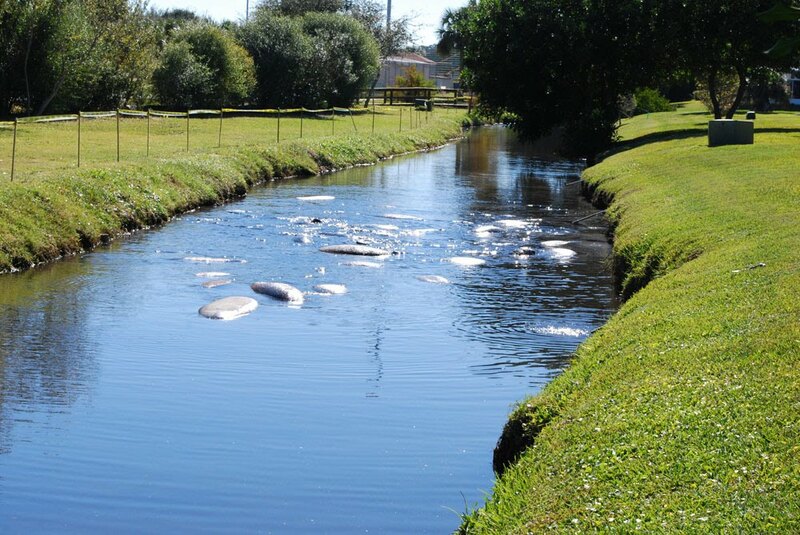 When I worked in Satellite Beach a few years ago, I would make it a priority to see the manatees in the canals.